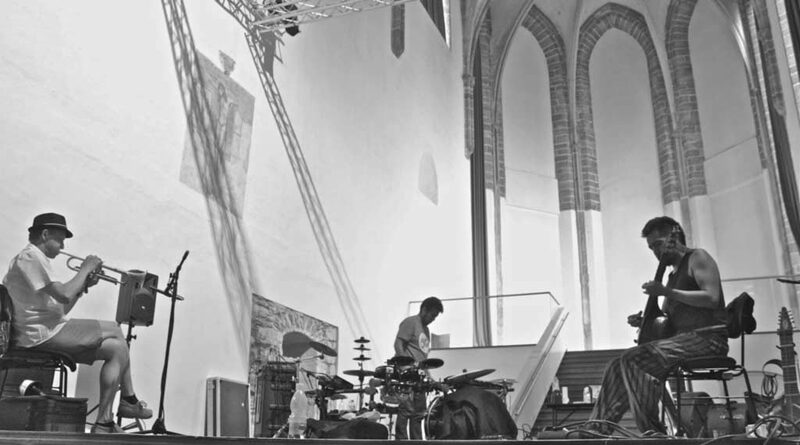 This duo creates sound spaces where the music of all times are bound together in an interpretative freedom, full of broad passages and vast instrumentation with a variety of techniques and electronic processing in real time. This performance seduces the spectator through sight and hearing since on stage they are able to appreciate a variety of shapes and metals used in its instruments. The Charrophone, the Jarana Prism, the Kitai Drum, the Tricordium; besides the Psalter Prism, the Stick, the Hand Sonic among others, are some of the characters that will appear on the scene to sound on the heads of all kinds of public. The film directed by Robert Wiene (starring Werner Kraus, Conrad Veidt and Frederich Feher), considered a paramount of German Expressionism, uses the story of a mentalist that induces a sleepwalker to commit homicides in order to denounce the criminal deeds made by the German government during the First World War. 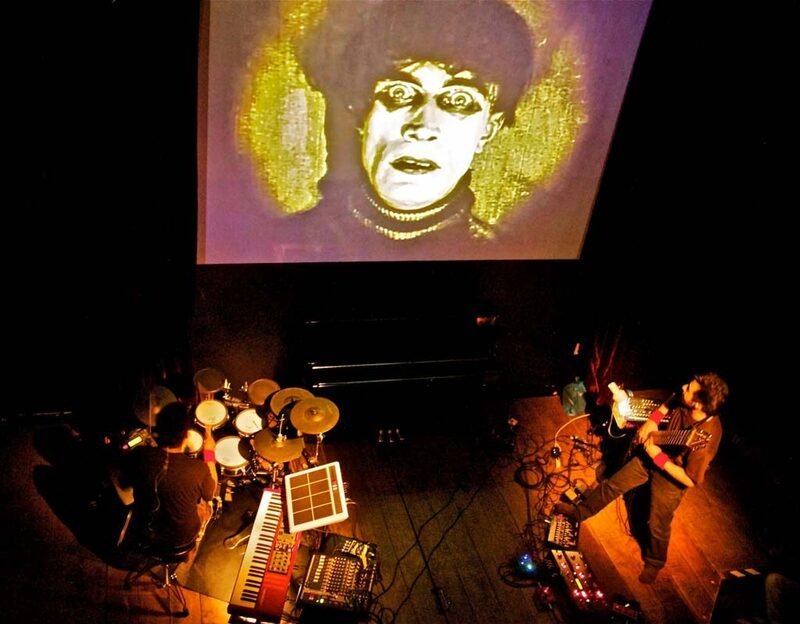 With an instrumental display that is set in motion by the electronic and the synthesis, CDC harmonizes the oppressive sceneries painted over the canvasses of The Cabinet of Dr. Caligari. The record Música en escala de grises (Music in Grayscale) (2015) collects 14 themes of the concert inspired in this classic film. 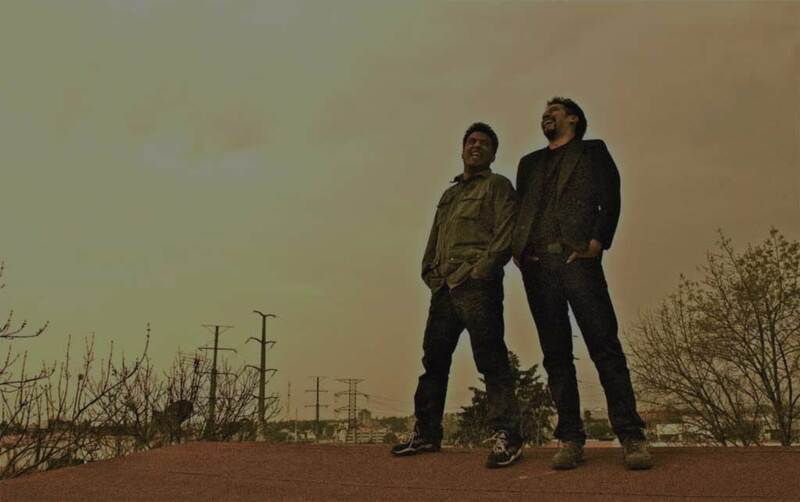 This work was first presented in the Cineteca Nacional in the cycle “Soundtracks”.